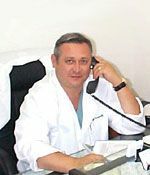 Dr. Ilya Kaminsky has 27 years experience in the medical field including completion of his Orthopedic Surgery residency and internship in the Ukraine. Dr. Kaminsky achieved significant recognition as the youngest Chief of Surgery at a renowned Orthopedic Hospital in the Ukraine. Upon relocation to the United States, Dr. Kaminsky became a Registered Physical Therapist in 1992 in addition to completing his education at Los Angeles College of Chiropractics in 1997. He founded Ilya Kaminsky DC, RPT, A Professional Corporation in 1999, where he currently provides chiropractic, physical therapy and rehabilitative medicine services for patients in the Los Angeles and Encino areas. Effectively directed numerous clinical staff members within hospital, freestanding rehabilitation clinic and private practice environments. Performed and provided high quality full-range progressive and advanced treatment for spinal pathologies. Significantly increased patient referrals and managed care utilization while improving physician relations and contributing to continued business development. Successfully met pre-authorization and concurrent review requirements while consistently providing quality patient care within the managed care arena. Substantially enhanced treatment planning procedures by ensuring effective staff training, productive time management and continuing education. Effectively directed, assisted and supervised the daily patient care responsibilities of staff Physical Therapists, Physical Therapist Assistants, Physical Therapist Aides, Occupational Therapists, Speech Therapists and Chiropractors. Drafted a number of papers for medical journals and presented lectures throughout the Soviet Union on Rehabilitative Medicine and Orthopedic Surgery. 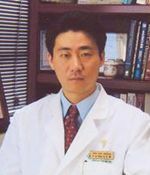 Dr. Kwang Lee MS, DC, OMD is a board certified chiropractor in the State of California. He received his Doctorate of Chiropractic degree from the Clevelend College of Chiropractic Medicine and his Bachelor of Science in Human Biology at Cleveland University. He also completed Master's and Doctorate degrees in Oriental medicine & Acupuncture at Samra University of Oriental Medicine. As a chiropractor and acupuncturist, Dr.Lee places great importance in providing a thorough diagnosis of patients' pain/discomfort and needs first. It is his passion to ensure the patients receive the best possible care and treatment so that they can live a better and pain-free life with their family and friends. Dr. Lee also specializes in nutritional care and believes that many chronic pain and disease can be avoided through proper nutrition, exercise, and a healthy lifestyle. He's committed to educating the patients as well as supporting their choice of live a healthy and wholesome life. As a primary health care provider, Dr. Lee firmly believes in integrative medicine. It is based on practitioner-patient partnerships in which both conventional and alternative modalities are used to stimulate the body's natural healing potential. Integrative medicine is the practice of combining alternative, complementary and conventional therapies to take advantage of the strengths of each system, while offsetting their weaknesses.